The lectern-type doocot at Athelstaneford probably had about 600 nests, but only 52 remain. It has an inscription 'C.H.1583'. The doocot at Dirleton Castle is 16th century. The 19th century tower is a gazebo in the garden of Dirleton Castle. The unusually shaped roof of the 18th century Phantassie Doocot has 16 flight holes below the eaves and a further four in a small dormer. Inside are 570 nests. 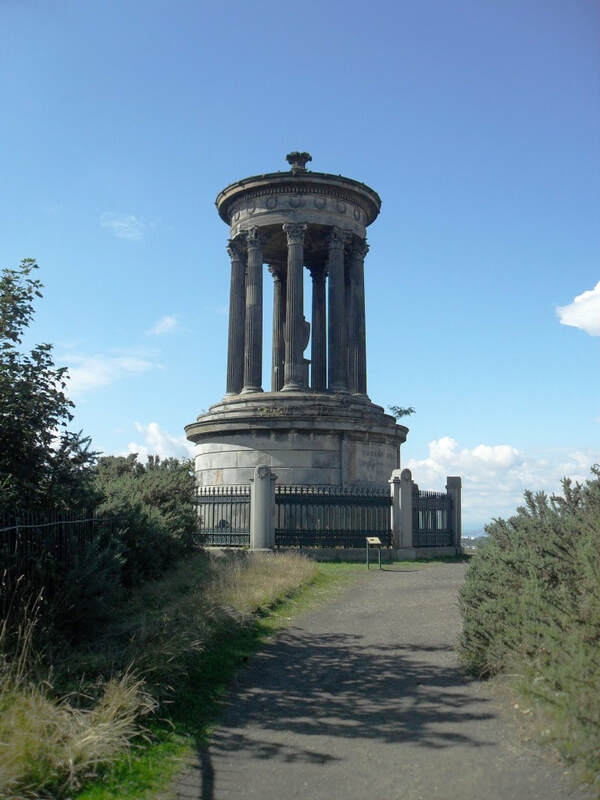 The Nelson Monument on Calton Hill was designed by Robert Burn and built between 1807 and 1816. The inscription above the door includes the date 1805. 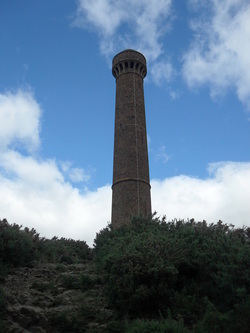 Being a monument to Horatio Nelson, the shape of the tower has been described as an upside-down telescope. The memorial to Dugald Stewart, the philosopher who died in 1828, was designed by William Playfair and is a copy of the Choragic Monument of Lysicrates in Athens. Choragic is the place where choirs practised for their national choir contests. 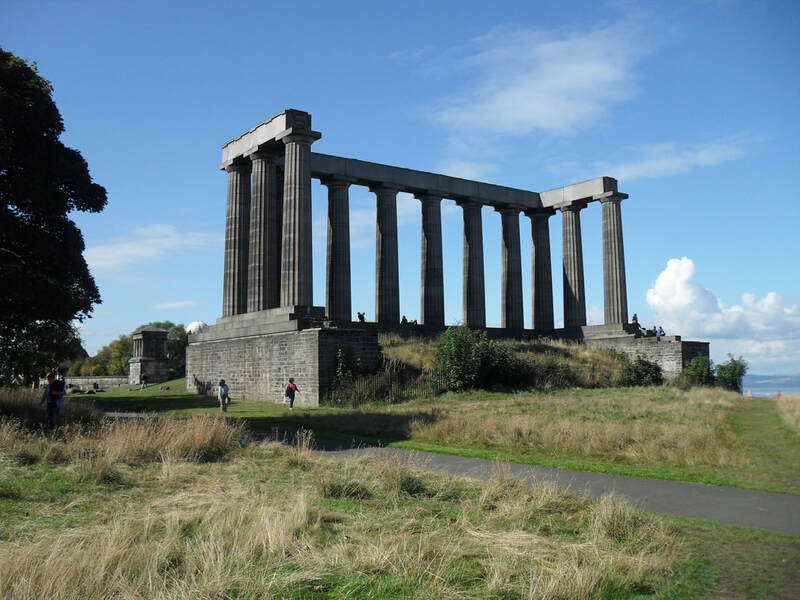 The Greek Doric Playfair's Monument was designed by William Henry Playfair in 1825-6 as a memorial to John Playfair, president of the Edinburgh Astronomical Institute. The City Observatory was designed by William Henry Playfair in 1818. 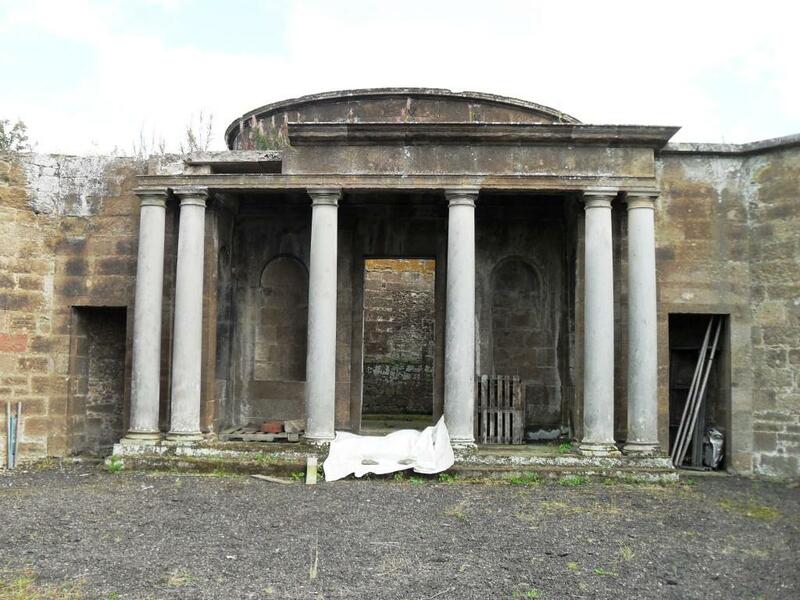 It is in a Classical Greek style with a Doric portico to each wing. The City Dome is an eight bay Classical building designed by Robert Mortham in 1895. Thomas Hamilton designed a Tholos temple in 1830 as a memorial to Robert Burns. The rear of the pavilions at Amisfield Park have the appearance of bastions on the outside of the wall. In the corners of the walled garden at Amisfield Park are four circular Roman Doric pavilions, which were originally domed, built for John Henderson in 1786. One was used as a doocot. 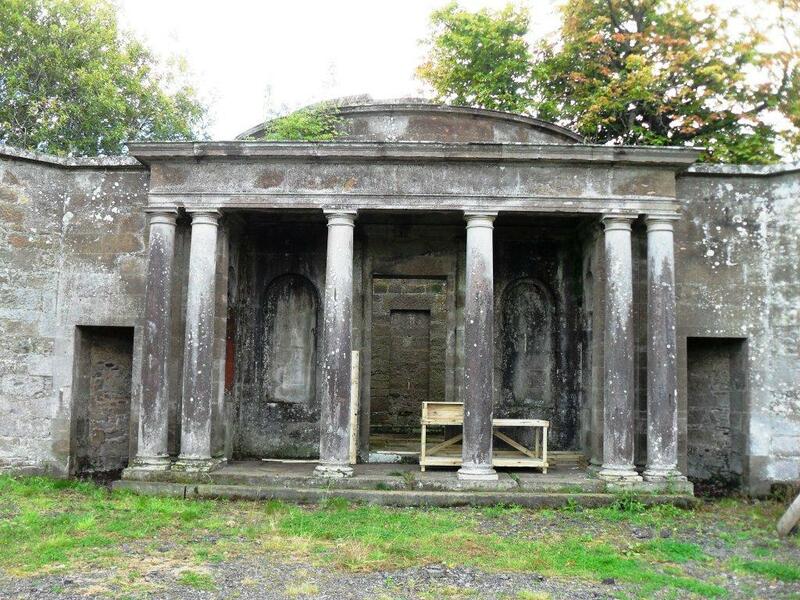 The Roman Doric Temple summerhouse at Amisfield Park was probably designed by Isaac Ware in the mid 18th century. 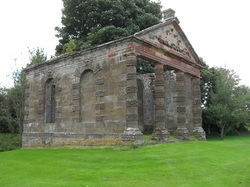 This monument was erected to the memory of the Great and Good John, Fourth Earl of Hopetoun by his affectionate and grateful tenantry in East Lothian. MDCCCXXIV. At the entrance to Newbattle Abbey are two square designed by Alexander McGill in the early 18th century.